The famed city of Champawat is a town and Nagar Palika Parishad in the Champawat district of Uttarakhand. It is one of the eastern-most towns of Uttarakhand, proudly sitting at an elevation of 1,670 metres above sea level. 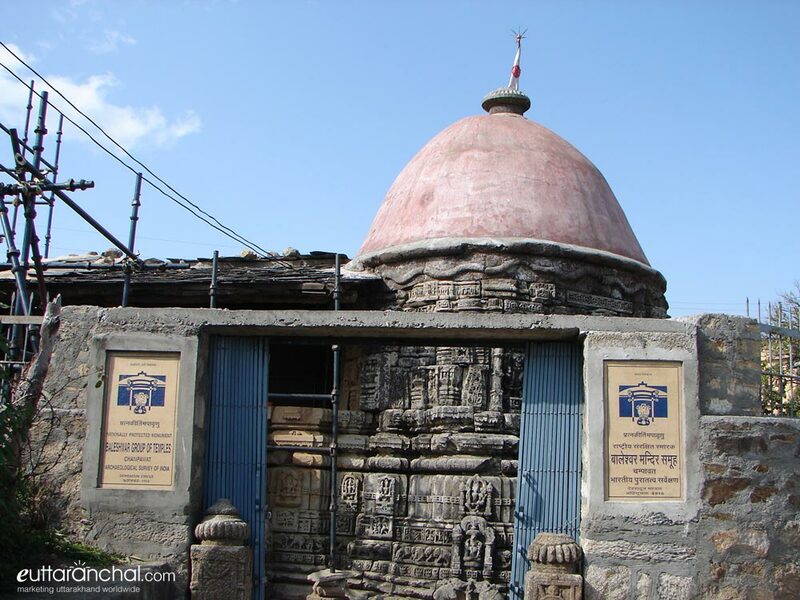 Champawat is famous for its ancient temples which have been erected here for years. Some of the sacred Hindu shrines of Champawat include the Baleshwar temple, Nagnath temple, and the Kranteshwar temple, displaying its remarkable architecture. The people of Champawat have kept there culture alive as they still follow the rituals which they used to perform in 10th century. Celebrated for being a historic town, Champawat has beautifully embraced its age-old traditions and rituals that are religiously followed by the locals with pride and grace. Not just this some of the 10th-century traditions are also practiced by the locals till date. 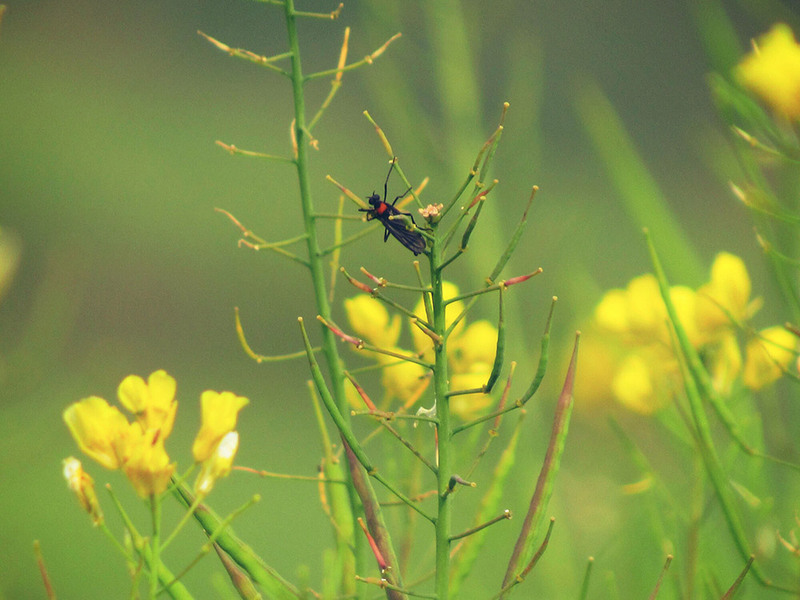 At Champawat you can relish the novel views of the varied flora and fauna that make the place aesthetic. The dense woods of Champawat are studded with Teak, Babool, Eucalyptus, Sagon Bail and Jamun trees that are found in abundance here. The important attractions at Champawat are the Baleshwar temple and Nagnath temple which displays fine architectural excellence. 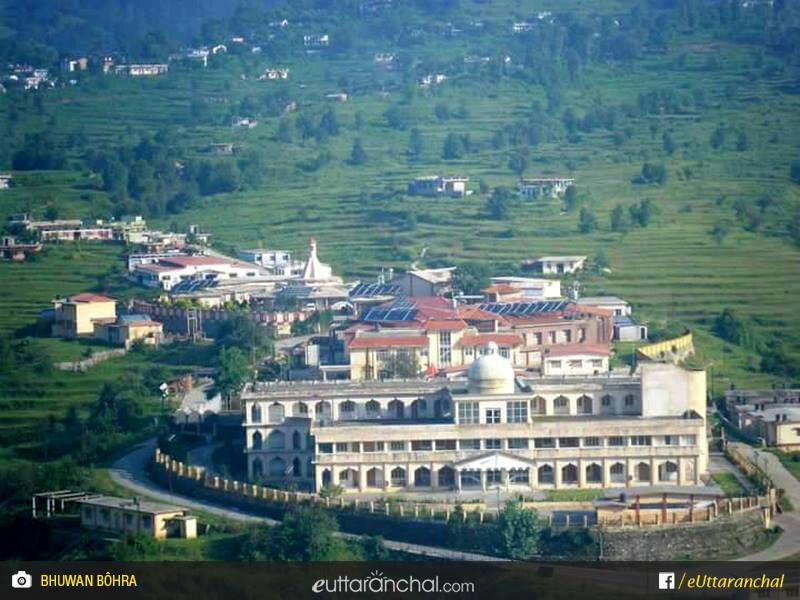 Another popular attraction of Champawat is 'Ek Hathiya Ka Naula' which is 4-5 kms from Champawat and the Mayawati Ashram at Lohaghat, Reetha Sahib on the Lohaghat-Devidhura road. You can visit Champawat any time of the year but try to avoid the monsoon months. Nature Walks: Champawat is known for its lush green forest and undulating verdant hills that leaves one spellbound. The varied flora in this region comes out alive during the spring season. Several walking trails in and around Champawat could be explored. One can easily hike to the nearby villages in and around Champawat. 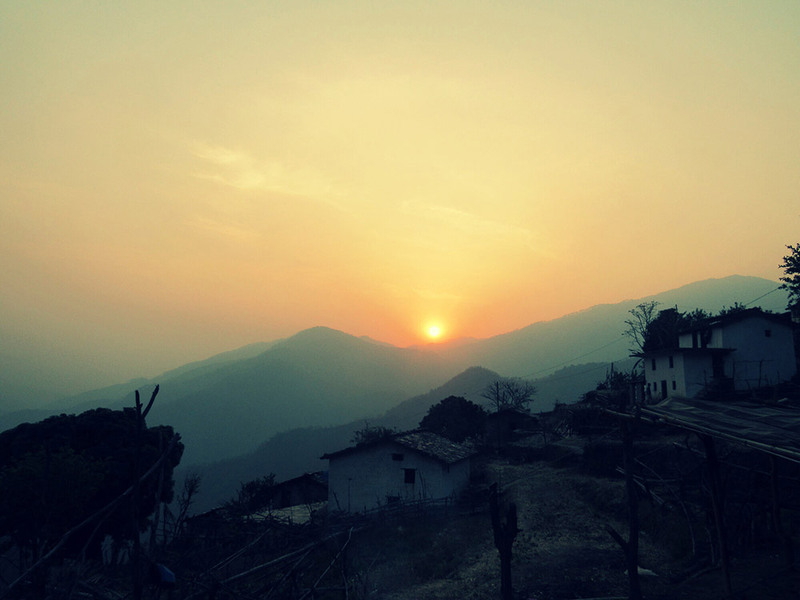 Village Tourism – The Kumaoni hamlets and villages can teach a lot about the culture and customs prevailing in the region. The hilly folks are warm and welcoming and would be happy to share their folklores and stories. Camping: Due to inadequate accommodation in Champawat, camping is another inexpensive way to spend the night under the shimmering stars. Champawat offers various beautiful locations where a group of friends can erect a tent and start a bonfire. Try to avoid travelling to the hills in monsoon as the weather is unpredictable during this time. The roads tend to get slippery and the region is prone to unexpected landslides, cloudbursts and road blocks. Champawat is a sparsely populated town in the Kumaon region of Uttarakhand. Due to it is obscurity, not many hostels and guesthouses mushroomed here. Only a handful of budget accommodations can be found. Another option is to find accommodation at Lohaghat where one can find plenty of option to choose from ranging from budget to luxury. Lohaghat is only 13 kms from the town of Champawat. Being a small town, Champawat does not have restaurants serving international cuisine. The few eateries and roadside food stalls in Champawat offer popular North Indian and Chinese dishes. Local cuisine is worth giving a try one can taste all sorts of Pahadi dishes like Chainsoo, Gahat Dal, Sisunak Saag, Kappa to name a few. Local sweet delicacies like Bal Mithai and Singauri shouldn’t be missed. Champawat was the former capital of the scions of Chand Dynasty. It is said that Champawat was named after Champawati, the daughter of Arjun Deos. In the 16th century, the Chand rulers built the famous Baleshwar temple in the Champawat city, which is an impressive monument that stands in utmost grandeur even today. With the advent of Gurkharaj in 1790, the Chandra Vansha came to its end. Later in 1814, the Britishers forced the Gurkhas to leave this place. On September 1997, the city of Champawat became a part of the separate Champawat district, carved out of Pithoragarh district. According to the Hindu texts, it has been stated that Lord Vishnu incarnated in his ‘Kurma avatar’ or tortoise incarnation in Champawat. Champawatpuri was the capital of nine naag kings as mentioned in Vayu Purana. Pandavas of Mahabharata also spend some part of there 12 years of exile at this place. Being snuggled in the luscious Kumaon region of Uttarakhand, the town of Champawat is a true Himalayan beauty having a divine aura and peaceful ambiance. Currently, the town of Champawat is enjoying its reputation as the district headquarters of the Champawat district. Although, this place can be visited throughout the year but it is advised to check road conditions during the monsoon season. What is Champawat famous for? Champawat is famous among tourist as Hill Station, City. Champawat is popular destination for following activities/ interests - Business Hub, Others. Travelling to Champawat in 2019? Contact us for planning your Champawat tour with best travel packages of as per your requirements!